Almost everybody in the world uses knives on an almost daily basis, if not daily one. There are many manufacturers of knives in the world as well. This leaves everybody on the hunt for the best knife available for the money. Of all the blades in the world that you could use, Gerber knives are one of the best available choices. Folding knives are pretty common around the world. There are three usual types of folding knives available; manual, assisted opening, and automatic. Folding knives are used for every day carrying purpose, and purposes including work, hunting, fishing, and sometimes for defensive purposes. They are also used by law enforcement and military personnel in the course of duty. Folding knives have a knife and a handle where the knife falls into the handle, and comes out of it as well. blade. That is one piece connected to a handle. Gerber knives have a full tang design where the knife blade extends into the handle for maximum strength. Fixed blade knives can be used for many utilitarian purposes as well as additional hunting or fishing or survivalist needs. The military and law enforcement also utilize fixed blade knives. cooks. They are also used by fishermen both professional and commercial as well as amateur sportsman. They are used to separate the meat from the bones of the fish to prepare meat for cooking. Filet knives usually are thin and have exceptional cutting power, are very sharp, and are designed specifically for cutting fillets. Machetes are used by outdoorsman when they’re going through wooded areas. These knives are used to cut back brush and foliage to make room to walk through when on longhikes through the wilderness or jungle areas. 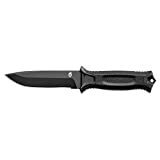 This type of knife is used in some types of defensive situations by military and law enforcement personnel mostly. A machete is a long blade with a short handle. 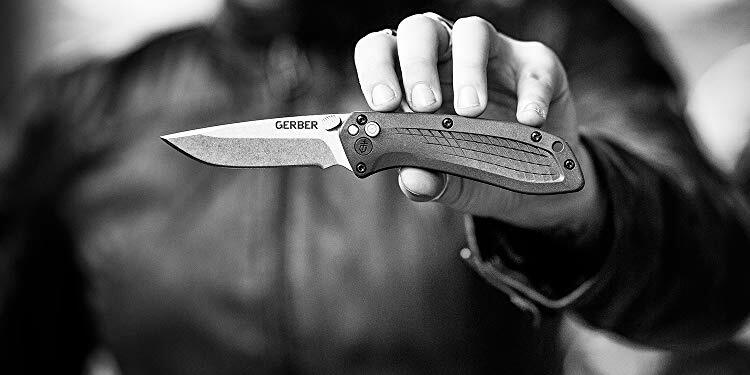 Multi tools that include knives are one product that Gerber specializes in. 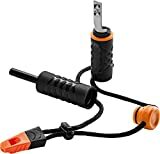 There are wide variety of multi tools with knives produced by Gerber that are intended for different types of mechanical purposes. 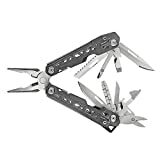 You can get multi tool devices produced by Gerber that specialize in different needs you may have. Industry or machine shops use multitool devices. These devices often include blades, but they are also available without blades also produced by Gerber. Gerber has a wide number of products that they’ve developed including knife sharpeners that are not actually knives. 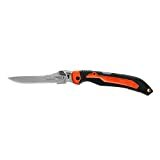 Gerber is mostly known for creating knives and multitool devices, but they also offer such items as scissors and shears and other items with cutting surfaces. They even offer pliers and other tools of exceptional high quality and workmanship. Gerber knives are made in the United States of America with materials also made in the United States of America. Crafted with pride, you will know that these are not cheaply made knives that take away American jobs. Gerber knives are used by people all over the world and are made by master craftsman. Gerber knives perform exceptionally well amongst the various users. The blades on Gerber knives are known to be exceptionally sharp and retain their edge, not requiring sharpening on a regular basis. Gerber knives don’t tend to malfunction or become damaged very easily and are known to be reliable and durable. Gerber knives are exceptionally high-quality knives that are trusted In life or death situations around the globe every day. Gerber knives perform better than average everyday knives on the marketplace. They cut through tough materials quite easily and will outperform most other knives available by and large. The performance of Gerber Knives is legendary. They keep making advances in materials and design, with new offerings on a consistent, regular basis to their already outstanding line of exceptional blades. ​Gerber knives have been distributed to over 300,000 military personnel since their inception and used the world over for work in defense purposes. All facets of life that that knives could be used for are covered by Gerber knives. Many of the people who used Gerber knives are the people who keep the world running. Gerber knives are very well designed as well as attractive and highly functional. These knives are made with the best materials and perform better than industry favorites other than Gerber. These knives are well loved by anyone who uses knives, the world over. Gerber knives have great design and a manufacturing process that creates superior knives. These are the knives that those who need excellent knives to survive use. ​With so many different types of models available, you will find all kinds of different prices available for Gerber knives. 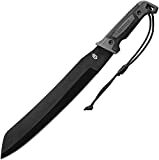 Some models are German knives are available for as low as $15. while other models ranging price our way up to the hundreds of dollars. It all depends on where you are buying your knife and what kind of a deal you get on it. There are many different authorized resellers of Gerber Knives on the market. You can also purchase Gerber Knives, on an open market place like Amazon or eBay. Many different outlets have pricing that will vary widely for these knives. It is possible to get a really good deal on a knife or to be even ripped off if you’re not careful. ​The public’s perception of Gerber knives has only gotten better since 1939. Initially, these knives were available to people through the catalog or in stores. Gerber knives have come a long way since the early 19 th century. The internet has broadened the publics access to Gerber knives and people are no more aware of them than ever before. Gerber knives are in such widespread use because of their quality and usability. Gerber knives are well loved by just about everybody who has used one. The functionality of these knives makes them suitable for purposes that help one survive, work, and prosper. These knives perform their functions so well for so many that the public perception of this knife is impeccable. These are sought after and prized knives by a well-respected company with a fantastic reputation around the world. Gerber knives are also very well distributed to the people who need them the most. If you ask someone who owns a Gerber knife what they think of them, you would be hard pressed to find somebody with a negative opinion and you would have to look pretty far to find someone who disliked Gerber knives. It’s generally well-known that Gerber knives have a great reputation. Most everybody who deals with knives on a professional or personal level seeks out to get a Gerber knife if it all possible to obtain one. ​Gerber knives are superior knives in many respects and they are so good that many people prefer them to other brands. There are many wonderful knives on the marketplace, however, and the competition in knives as far as quality and functionality is pretty steep. Gerber knives rank in the world’s top five percent of all knives without a doubt. This being said, you can be certain that any of the competition that comes up against Gerber is going to have to do some serious leg work in order to compete. For many people they will accept no substitutes and demand a Gerber knife. Many people who work in industry come to depend on them for their livelihoods due to their exceptional long life and functionality. This makes them a necessity that are so reliable they are in high demand. Those in the military stake their lives and the security of their units on these knives at critical junctures. Kerber knives are part of the foundation of life as far as tools go. With all of these things going for them, Gerber knives are preferred over many different other brands. There’s a lot of competition out there, however, the quality and materials used in Gerber knives outweigh most of the competition. On the strength of design, the overall value in a Gerber knife is also going to win. These knives are quite a challenge to anybody who seeks to compete with them. Gerber knives are well loved and well respected by so many different individuals that in order to compete with them, you would have to outclass them, and this is exceptionally difficult to do. The fact of the matter is that would usually come down to a matter of personal preference when deciding between Gerber and other knives rather than anything to do with quality. Gerber knives are preferred by a number a wide number that will simply choose no other knife. Based on the amount satisfaction they have received using Gerber knife, most users are usually very loyal and don’t need to be convinced to any great degree of the value of these knives. ​Gerber knives are without a doubt, the first and foremost pick for many individuals when they go to choose a knife. The fact that they are so widely distributed and used by so many people across the globe says a lot. This company and the knives they produce are kind of an integral part of military operations and those in industry as well as restaurants who need sharp knives to prepare food. The fact that these knives are so well accepted and loved in used around the world makes them an integral part of society at large. You simply can’t say something negative about these knives and get away with it. With everything that’s going for them Gerber knives are highly recommended for anybody who is serious about knives and have a definite need for a high quality reliable knife. Overall rating is 5 out of 5-stars from our team. Introducing our new Gerber GDC Money Clip accompanied with Fixed Blade Knife making it versatile in nature. ​If you really want to get a good deal on Gerber knives, it’s important to remember that you have to shop around. Taking one deal just because it looks good right off the bat doesn’t mean that there isn’t a better deal right around the corner. You may be tempted to jump on a knife that’s on sale just because you can immediately find one. You could find a lower price by taking the time to look around online at the various knife retailers and open marketplaces. 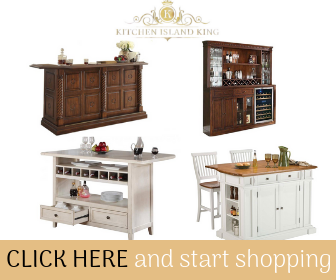 This bargain hunting can yield a result that is substantially lower then what you start with. Gerber knives are available at all kinds of different places on line. So, don’t be fooled by one person’s or companies come on line. If you can find a better deal get one. It is important to be safe with your knife at all times and always cut away from yourself when cutting. That is the safety golden rule. Take the time to understand knife safety handling procedures. Learning how to maintain your knife you can save cost on bring it in for maintenance. Learning how to sharpen your knife. Is another thing that you should learn how to do if you plan on using it extensively. It makes you closer to your knife, as well. And that’s an important consideration for many people who consider their tools as an extension of themselves in the work that they do.